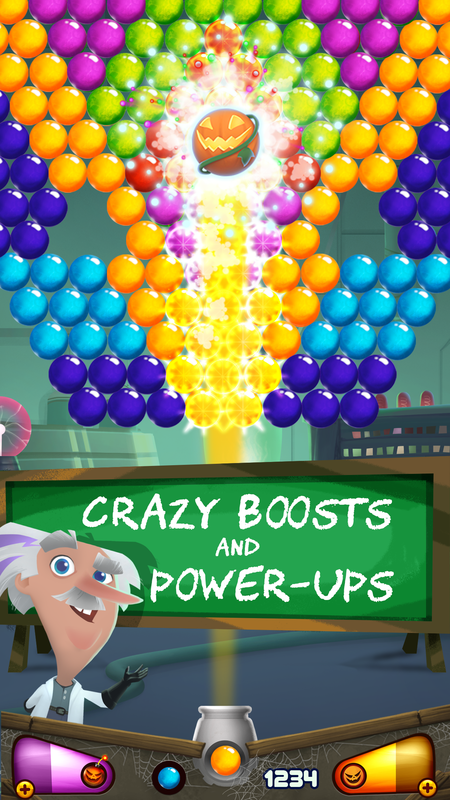 Step into the laboratory with Crazy Scientist Bubble Shooter game for free and enjoy over 1000 spooky levels packed with exciting boosts and power-ups! 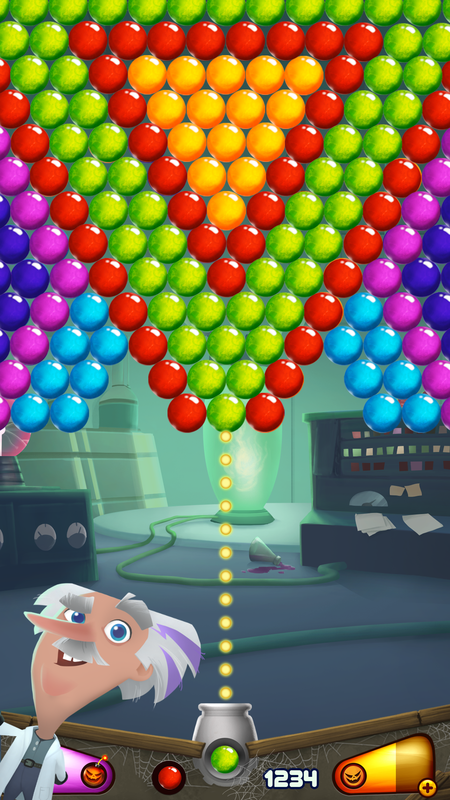 Get an exclusive sneak peek of the bubble lab and meet the crazy scientist who will tell you all about his new experiment! 🎃 Fire-Pumpkin- pop 7 bubbles in a row and the fire-pumpkin will burn up bubbles on the way! 🎃 Ghost-Bomb- drop 10 bubbles or more and the pumpkin-bomb will take out surrounding bubbles! 🎃 Drag your finger to move the laser sight, lift it to pop bubbles! 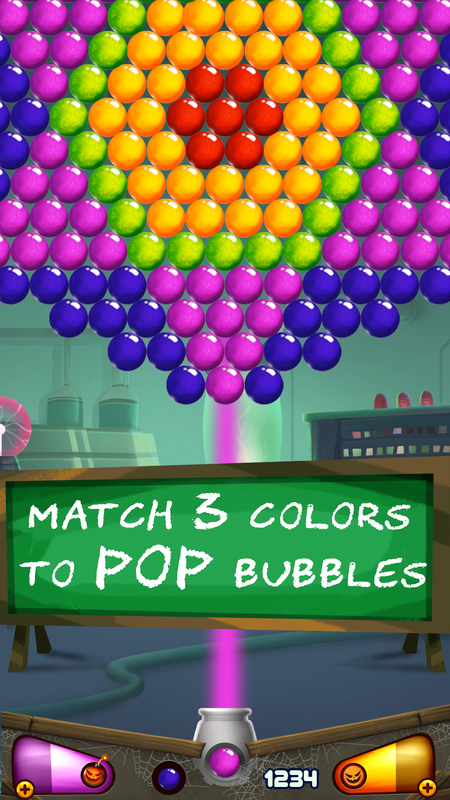 🎃 Match at least three bubbles of the same color to pop the group. 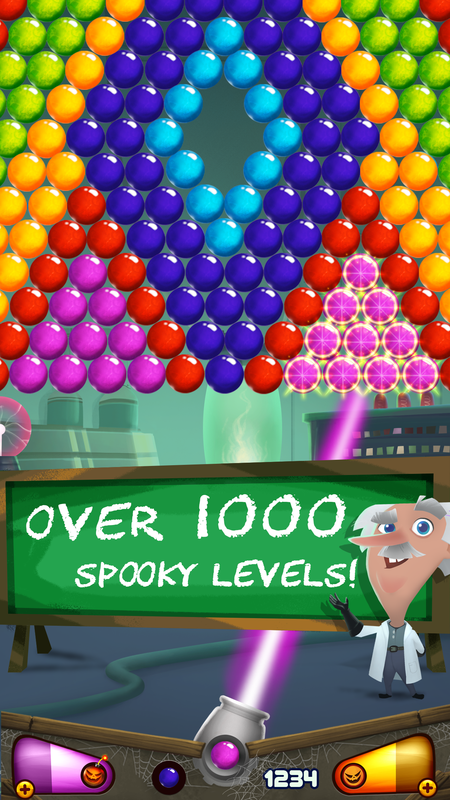 🎃 Over 1000 spooky levels! 🎃 Swap bubbles without limit and plan ahead your shots. 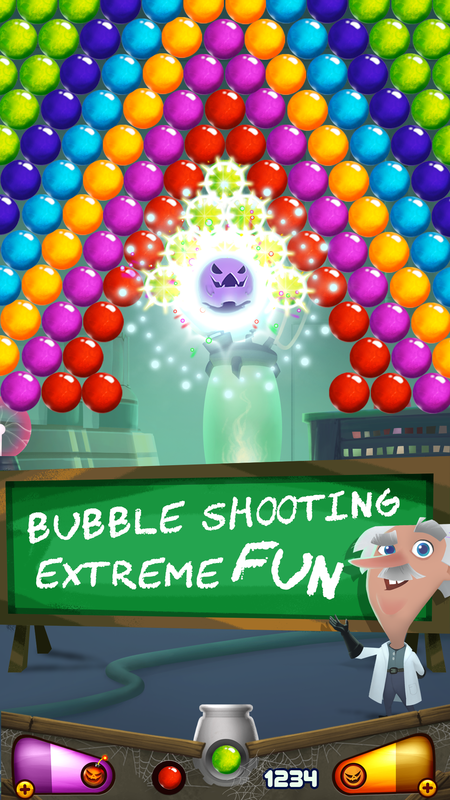 Best Bubble Shooting game in Halloween style! Extremely addictive!